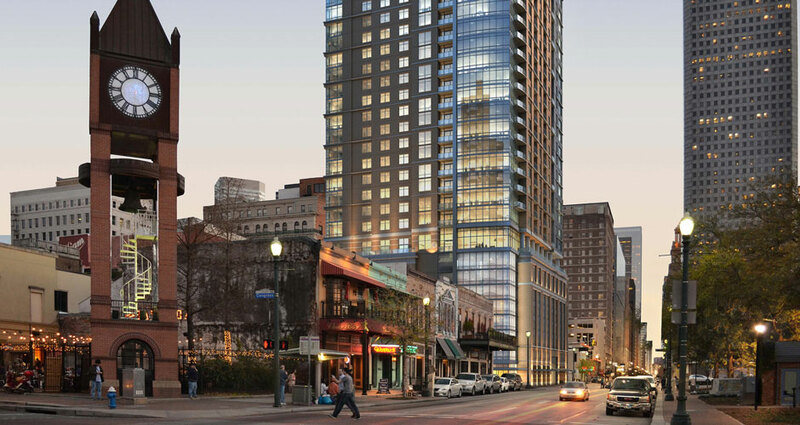 Aris Market Square is a new apartment development by Hines located at 409 Travis Street on the northern edge of downtown Houston. 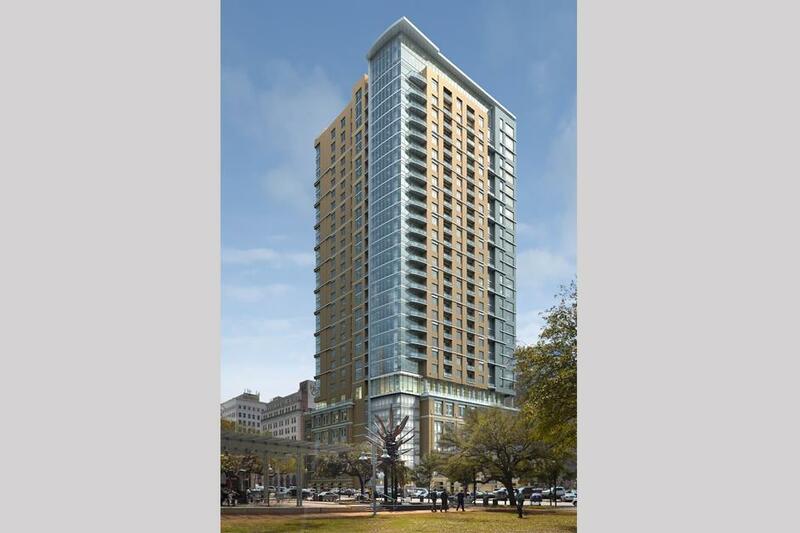 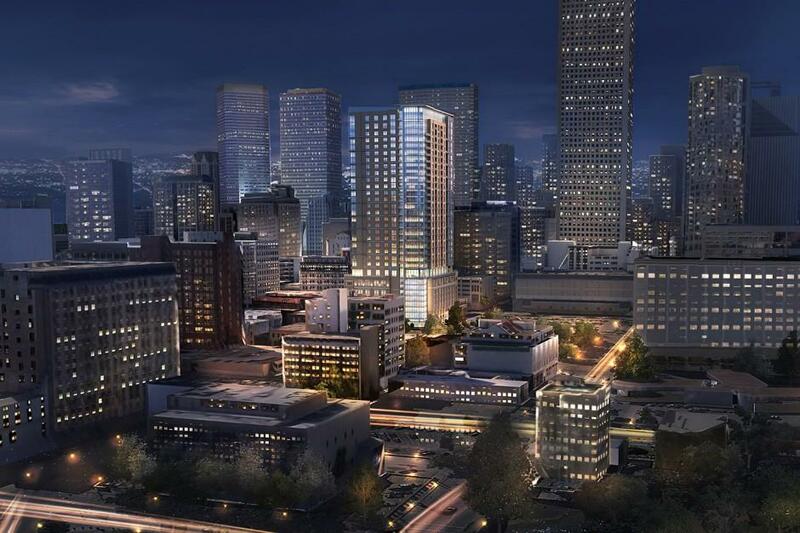 It features a total of 274 units and rises 32 stories. 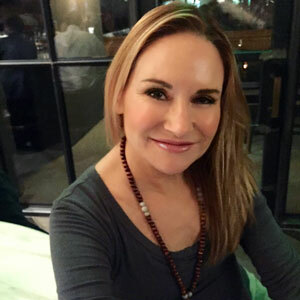 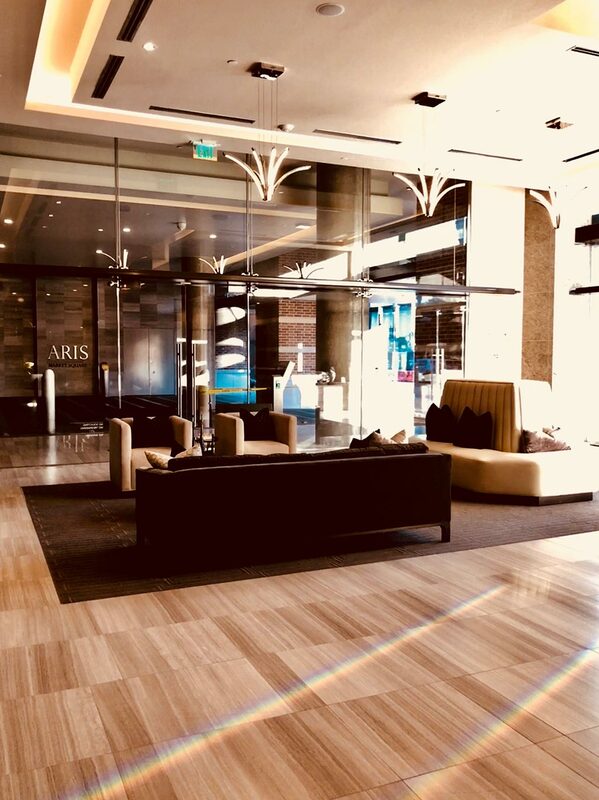 Occupying one half of a city block in the heart of downtown Houston’s historic district, Aris Market Square offers residents easy access to an eclectic array of restaurants, bars, and clubs. 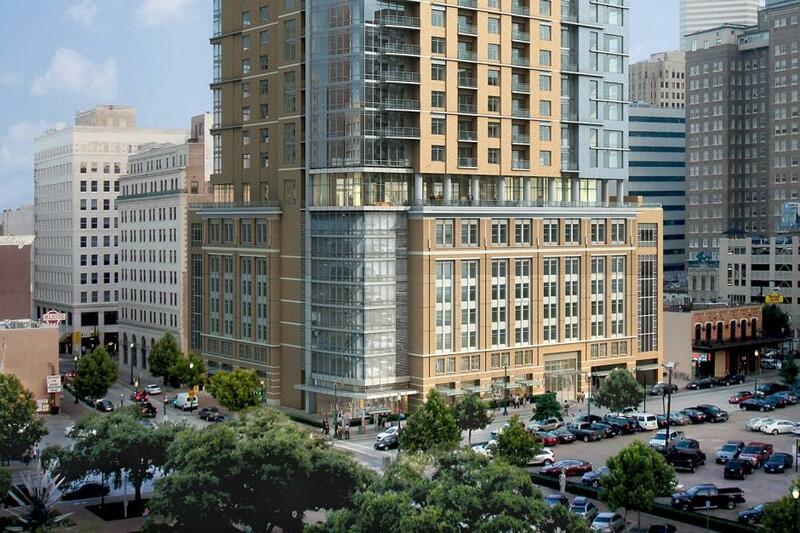 Its location overlooks Market Square — Houston’s first urban park. 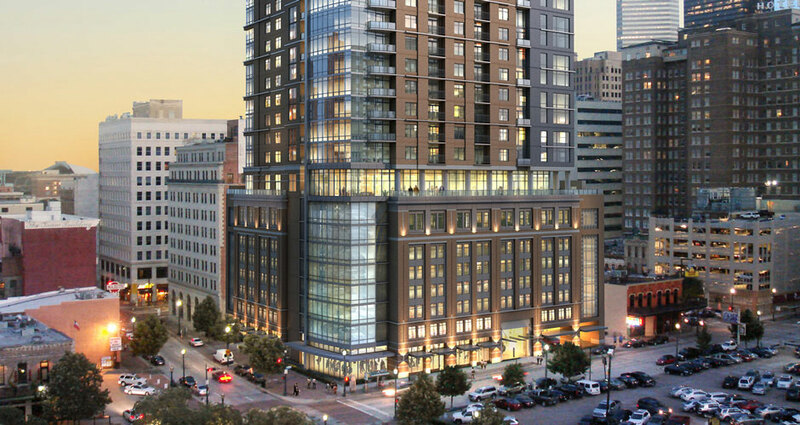 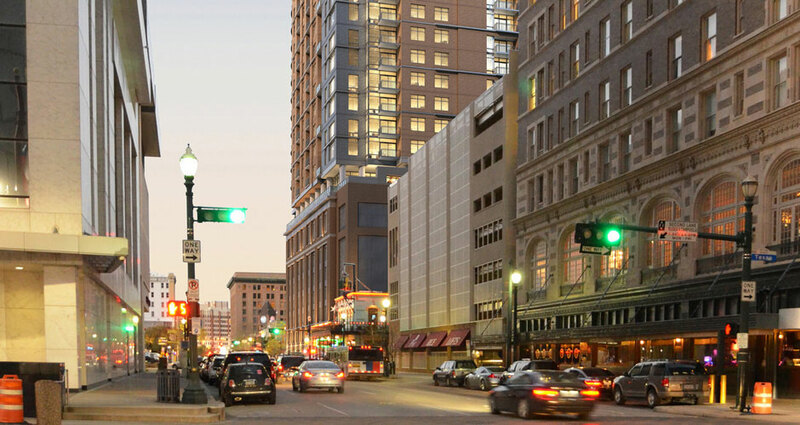 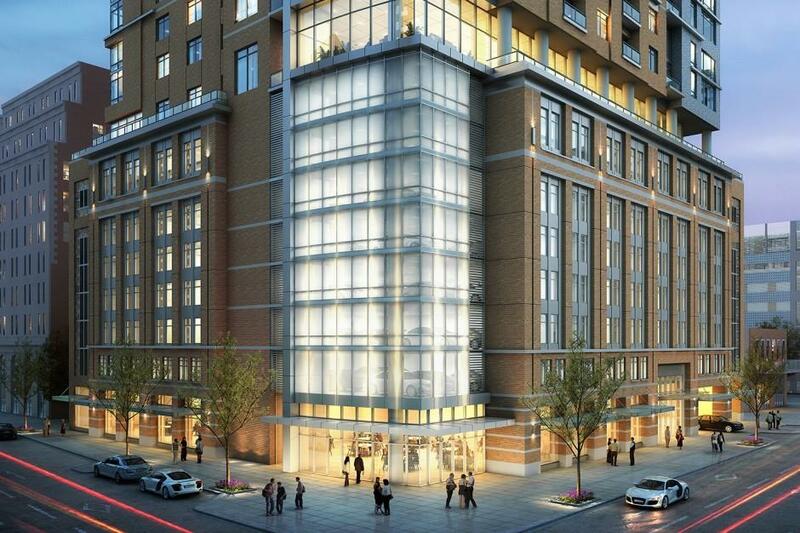 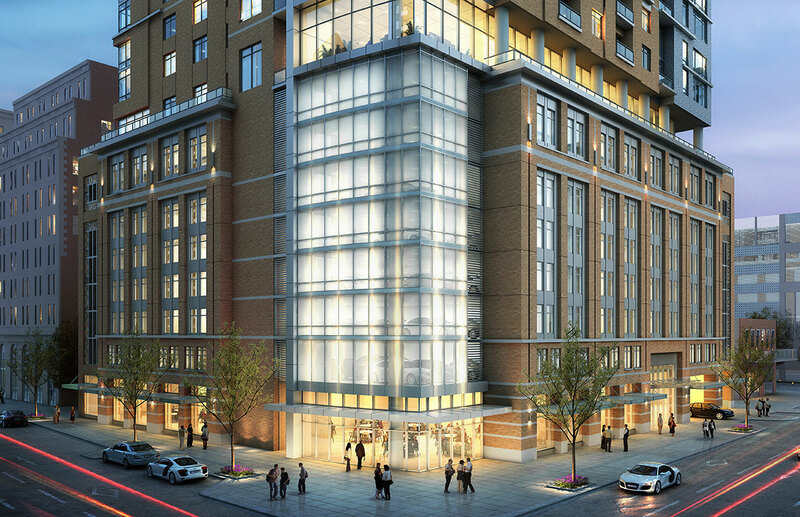 This residential tower sits atop an 8-story enclosed garage podium. 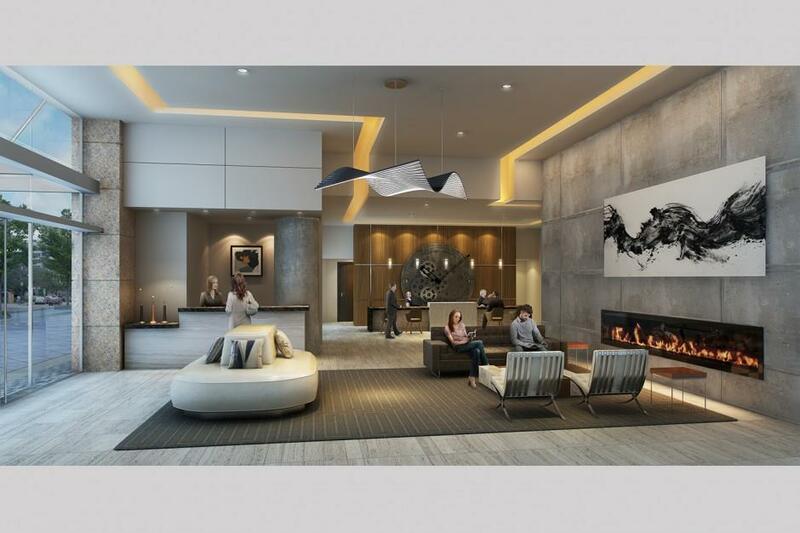 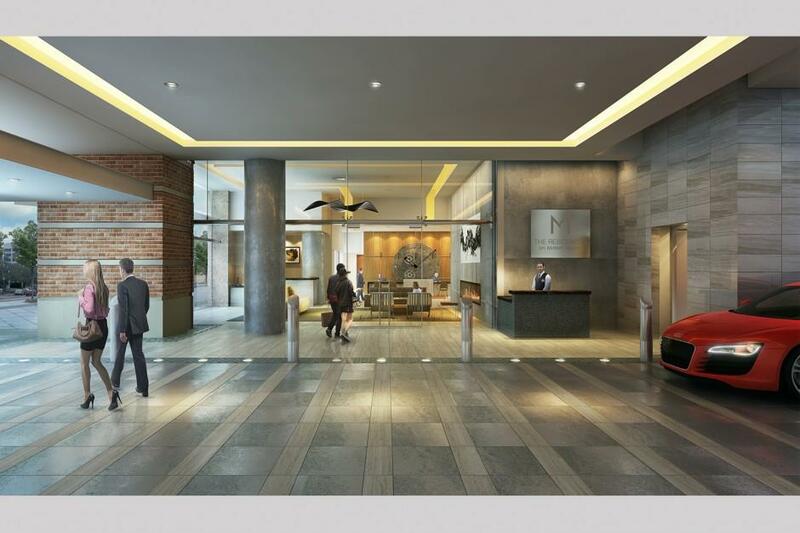 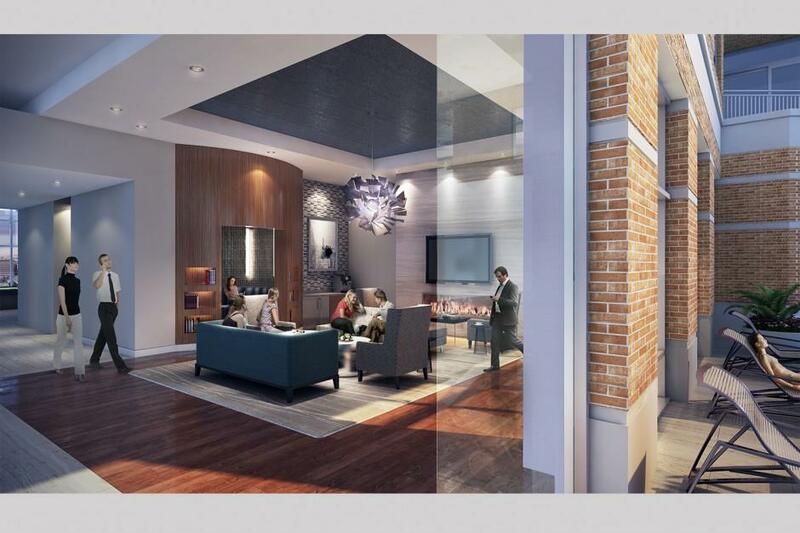 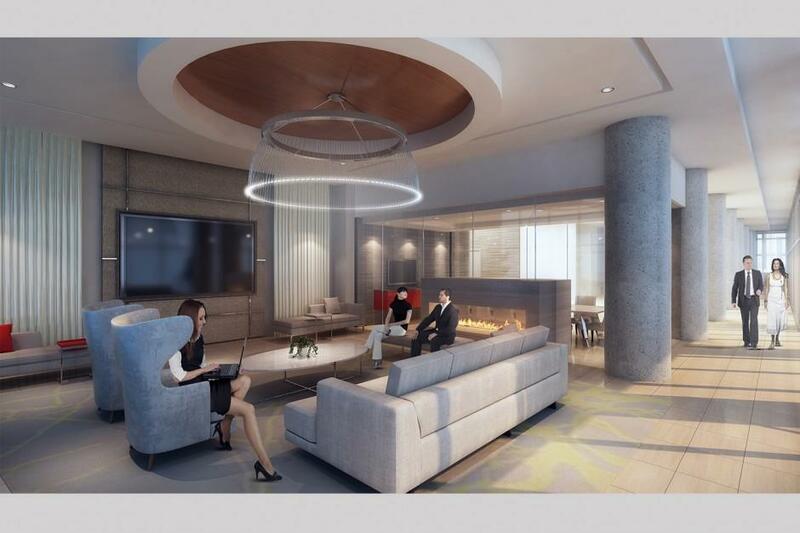 The ground level features retail space, the residential lobby, and a private pocket park courtyard space which will be accessible from both the residential lobby and from the adjacent ground-floor retail space for outdoor dining. 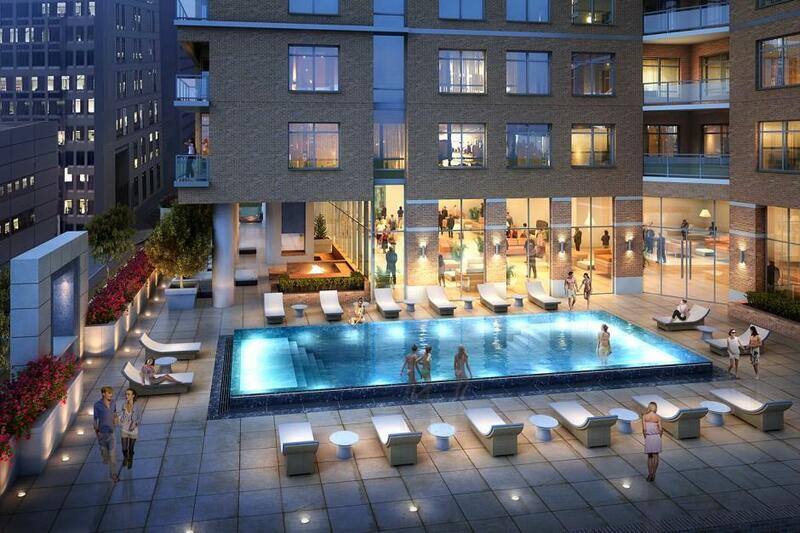 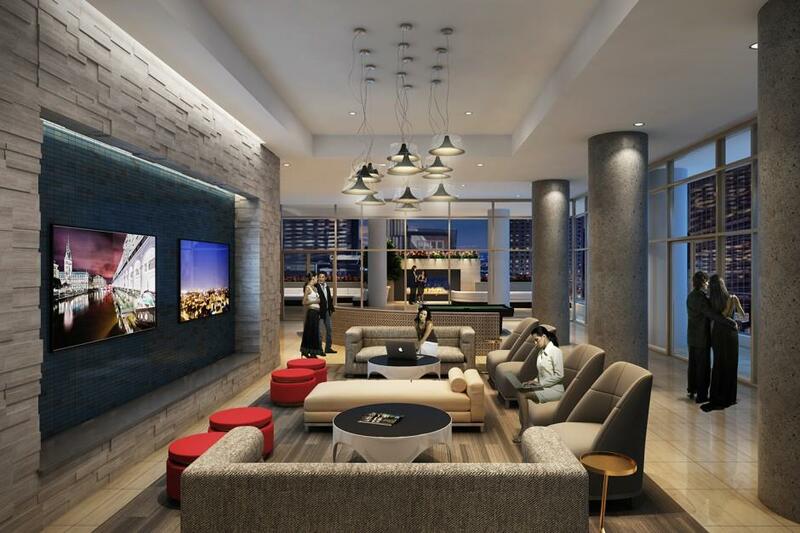 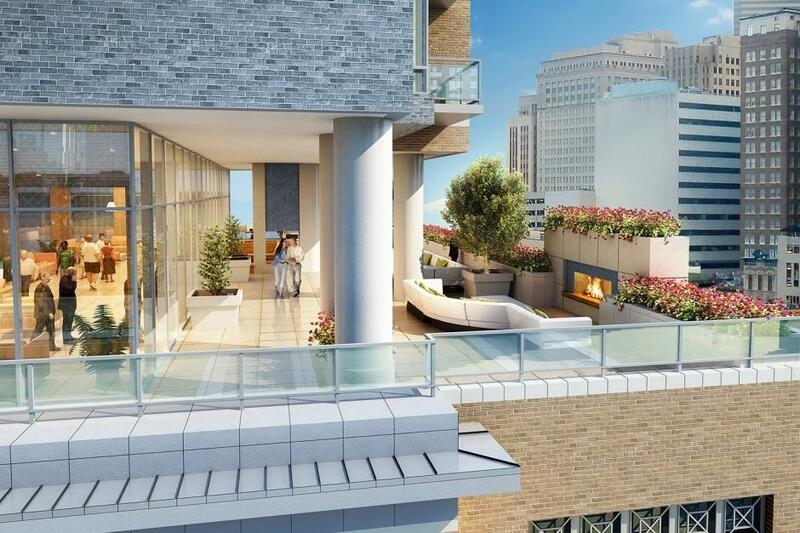 Level 9 incorporates an outdoor pool terrace with dramatic downtown city views. 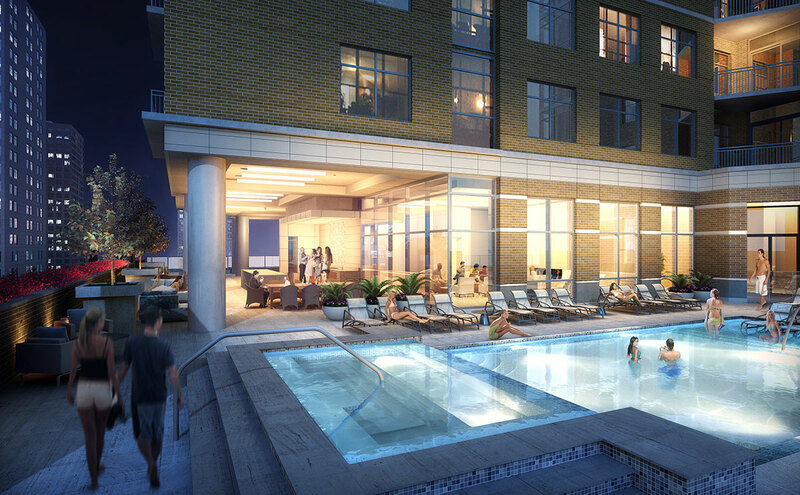 Surrounding the terrace are amenities that include a fitness center, a club room with gourmet kitchen, and a Wi-Fi lounge. 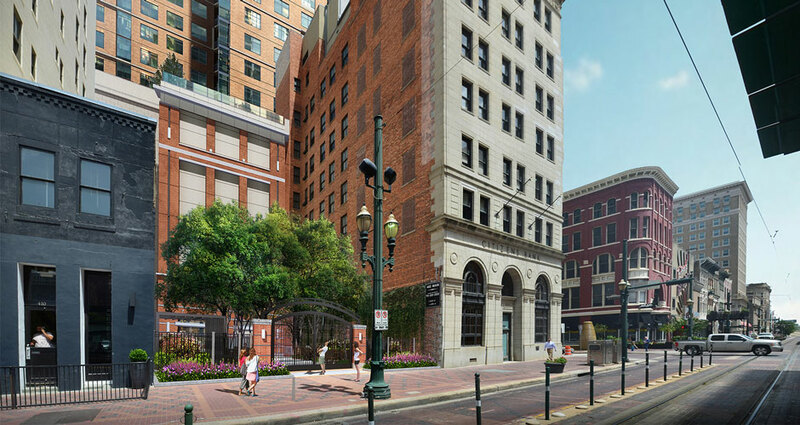 An inviting pocket park at the corner of Travis and Preston streets offers outdoor dining. 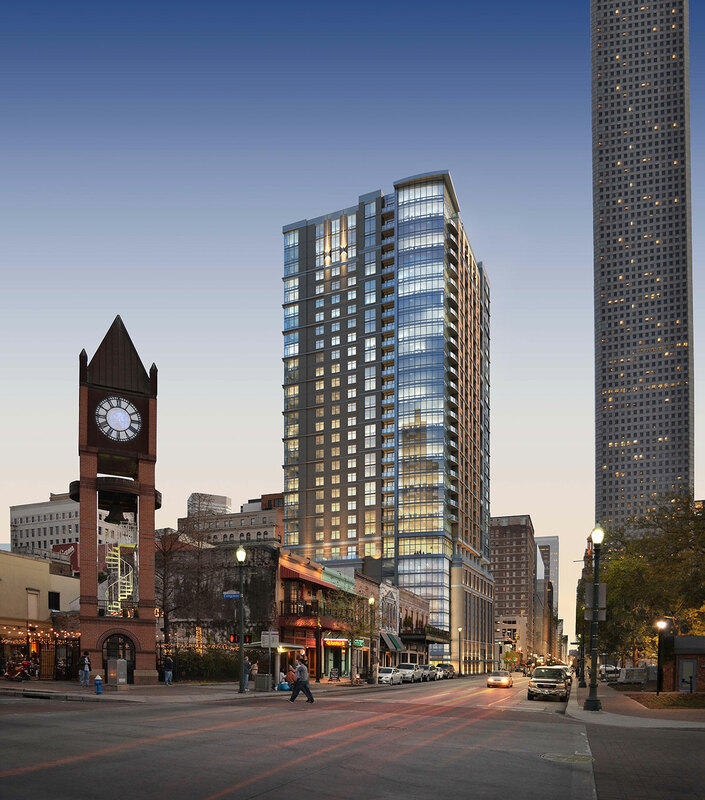 The architectural design of Aris Market Square, by Houston-based Ziegler Cooper Architects, fits comfortably amongst the old buildings of the Market Square Historic District.